Obituary for JoAnn K. (Kwiatkowski) Casale | Knight-Confer Funeral Home, Inc.
JoAnn K. Casale, 76, of Williamsport died Sunday, January 27, 2019 at UPMC Williamsport. Surviving is her loving husband of 48 years Stephen G. Casale. Born February 19, 1942 in Williamsport she was a daughter of the late Joseph P. and Helen P. (Trela) Kwiatkowski. JoAnn graduated from Williamsport High School in 1960 and graduated from Bloomsburg State Teachers College with a degree in elementary education. She was an elementary teacher for 32 years in the Williamsport Area School District teaching at Stevens and Jackson Elementary Schools and retired in 1996. 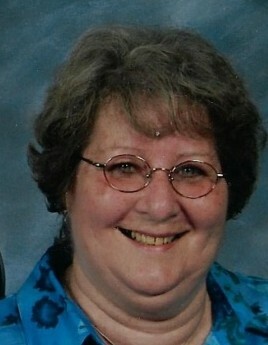 She was a member of St. Joseph the Worker Parish and the National Retired Teachers Association. JoAnn enjoyed reading, collecting hummel figurines, and especially shopping. Surviving in addition to her husband are her children Jonathan S. Casale (Stacy) of Williamsport and Carin J. Frantz (William) of Austin, CO., a sister Jean L. Steffen (Bob) of Williamsport and her cousin Dennis Ruddy. In addition to her parents she was preceded in death by a sister Carol Paulhamus. A Mass of Christian Burial to honor the life of JoAnn will be held 10 a.m. Friday, February 1, at St. Joseph the Worker Parish 702 W 4th St, Williamsport. Burial will be in Wildwood Cemetery. Visitation will be held from 9 – 9:45 a.m. in the portico of St. Joseph the Worker Parish. In lieu of flowers memorial contributions in JoAnn’s name may be made to the Old Lycoming Township Volunteer Fire Company, 1600 Dewey Ave, Williamsport, PA 17701 or St. Joseph the Worker Parish 711 W Edwin St, Williamsport, PA 17701.